We all know Kickstarter, but what are some of the specialised platforms out there that could help journalists fund their projects? Credit: By lendingmemo on Flickr. Some rights reserved. Google announced its new Contributor platform for crowdfunding the web yesterday, giving people the option to pay $1-3 a month to see a participating website ad-free. Crowdfunding has been gathering momentum as an alternative method of financing for media, but the success rate of journalism projects on Kickstarter, for example, was reported as below average for the site. Kickstarter set up a journalism section this summer to highlight these projects, and Indiegogo is another popular choice, but what other options are out there for journalists looking to crowdfund their work? Google Contributor's proposition is an interesting one for media sites, but is currently only available to those who have an invite. 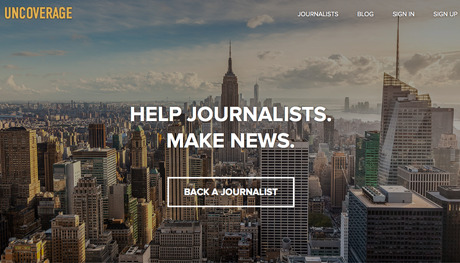 So Journalism.co.uk has put together a list of crowdfunding platforms with independent journalists, writers, photographers and filmmakers in mind. Uncoverage is aimed at funding investigative journalism projects, which can be very expensive to produce, often running costs of several thousand pounds. With a focus on journalism in the public interest, Uncoverage wants to connect readers passionate about a particular international or domestic issue with journalists who want to report on it. Beacon is both a crowdfunding and a publishing platform rolled into one. Journalists can promote their projects to get support from subscribers, and then publish their stories on Beacon once they're finished. Beacon also gives bonuses to the most popular stories published on the site. It was set up to help journalists make their longform stories pay, but it has since crowdfunded specific projects such as its drive to finance independent reporters on the ground in Ferguson. Similar to Beacon, Contributoria acts as a place for journalists to pitch ideas, have them funded and then publish them to the world. Launched by a pair of journalists from the Guardian and Talk About Local last year, Contributoria recently celebrated its 10th 'issue', published a print edition and is looking to find new ways to help its writers get paid. The community-driven element of Contributoria is precious to its founders as well, so they are looking to develop opportunities for contributors to connect and help each other too. For photojournalists and documentary makers looking to crowdfund their next project, Sponsume could be a good place to set up shop. It is a crowdfunding platform for creative projects, including photography, film and multimedia ideas, and the platform is available in six languages. One of the projects funded on Sponsume so far is a website and photojournalism campaign about homelessness in a small UK town. 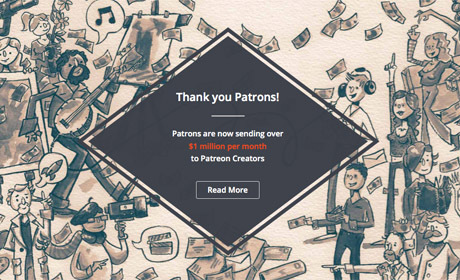 Patreon was set up last year to highlight the need for patronage in the digital age, encouraging people to support the creators whose work they admire. Photographers, writers, bloggers, and vloggers can all crowdfund their work jas part of this community, and the site also has a section for podcasters looking to raise money. TubeStart is aimed at digital video projects, on subjects ranging from comedy to hard news. Other types of projects have also been successfully funded on Tube Start, but it is primarily used to finance and develop YouTube channels or video blogs. 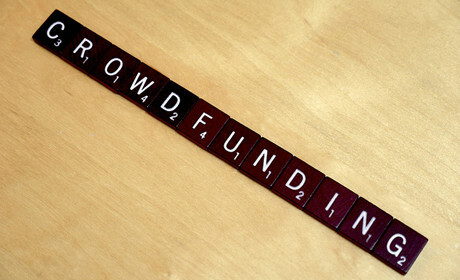 CrowdNews is currently in the crowdfunding process itself. Journalists will be able to share their work on CrowdNews by setting up a multimedia 'Newstream' which audiences can then subscribe to and finance. Newspryng was set up to give independent journalists and aspiring writers a place to publish their work and get paid through reader donations at the same time. Its founders tried to crowdfund Newspryng's launch through an Indiegogo campaign that did not meet its target, but the team wrote about their committment to making it work on the site.